If you are thinking about getting a pet, there is a lot you need to consider before making the commitment. The saying “a dog isn’t just for Christmas” is such a common saying, despite this, a worrying amount of people disregard the saying and don’t think about the implications that having a new pet may have. Pets are a huge commitment, like children, you need to feed them, give them water, make sure they get exercise and discipline them etc. Far fewer people are willing to commit to a child than they are to a pet. You need to ask yourself if you have a lifestyle that allows you to care for a pet. Of course, all pets are different and require different levels of care and attention, but if you work long hours, like to travel a lot and are not willing to give that up, or just have a lifestyle that makes you very independent and not tied down, then you may want to reconsider. 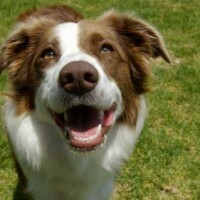 One of the most overlooked aspects of owning a pet is involved in the cost. People often think they can afford a pet based on food, toys and comforts. What they don’t take into consideration is that just like people, animals can get ill at any time. Unfortunately, animals do not have the NHS to fall back on, and it’s up to us humans to fork out on costly vet bills. If you are planning on getting your pet neutered or spayed, then you need to take this cost into consideration too. As well as any jags they may require to ensure they don’t catch any harmful diseases. 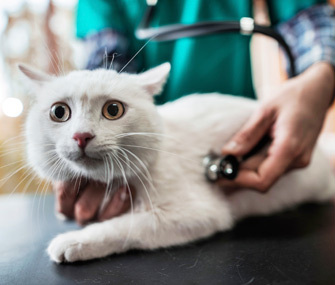 If you have already convinced yourself that you want a pet, it can be a good idea to go to a veterinarian and ask what they would recommend to suit your lifestyle. A Great Dane, for example, will likely go crazy in a small apartment. A vet will be able to tell you honestly what they think about your situation, as well as if they think a pet is right for you. It’s important not to take offence if they recommend that you don’t get a pet, some people just aren’t in the right place to look after an animal but it doesn’t mean they never will be. 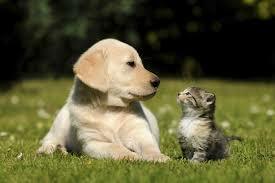 Before you get a pet, you need to figure out how you are going to make your home pet-friendly. There are many things that are dangerous to animals that we don’t even think about. For example, chewing gum can be lethal to dogs, and Ibroprufen highly toxic to cats. You need to ensure you research what is dangerous to the pet you are considering getting and come up with a plan to pet-proof your home. Ensuring there isn’t anything lethal lying around and anything that isn’t pet-friendly is stored away in a cupboard out of reach. Because animals are unpredictable and you don’t know what they’re up to all of the time.